New York City's Metropolitan Museum of Art is known for its classic works, iconic paintings and Greek sculptures. 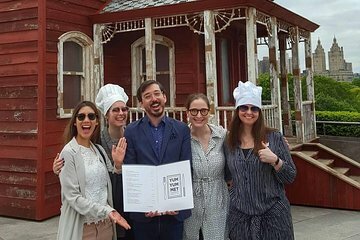 But this one-of-a-kind tour showcases the best of this top attraction's food-related art and may be the only food tour on earth that still leaves travelers hungry! Tour the galleries with your professional guide and learn about the feast-depicting paintings, kitchen scenes and other works of art that connect food to social issues, politics and gender. This unique tour is sure to whet your tastebuds!